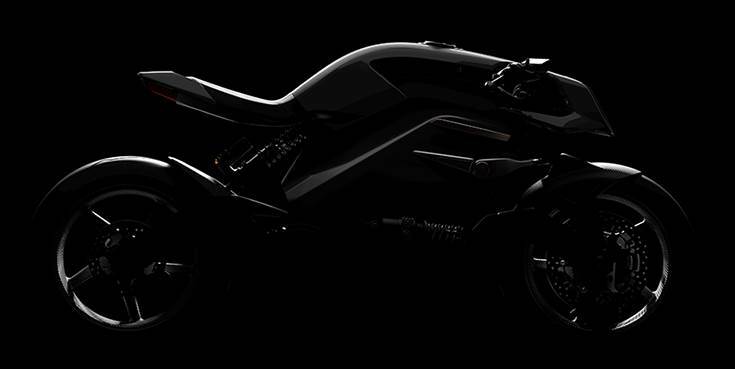 Teaser image of the Arc Vector, which promises to be the next evolution of electric motorcycling. Arc Vehicle Ltd has teased a motorcycle sensory experience, just weeks ahead of the scheduled global unveiling on November 6 at EICMA 2018, in Milan, Italy. The British electric motorbike manufacturer will introduce the world’s first fully-electric café racer with Human Machine Interface (HMI). The machine – designated Vector – promises to be the next evolution of electric motorcycling by being more than just a high-performance e-powered bike. The company claims the Vector is set to become the most fulfilling, safest and cleanest bike on the road. Situated in Coventry – the heart of the UK’s automotive industry – the British company counts an ensemble of leading industry professionals in their fields amongst its team. An idea born out of founder Mark Truman’s previous role as head of Jaguar Land Rover’s Whitespace department – a skunkworks division for ‘crazy ideas with commercial opportunities’ – the engineer assembled a top team, including a MotoGP chief engineer, and FEA analysis specialists, to push the idea through to development stage and ultimately production. The project has been running for two years with Arc Vehicle Ltd being established 18 months ago. Multi-year financial backing has been obtained from a number of blue-chip beneficiaries, including Jaguar Land Rover’s investment fund InMotion Ventures. The teaser image from Arc Vehicle showcases a forward-thinking design; the silhouette showing just a glimpse of the level of style on offer, while being formed from high-quality materials. Incredible performance characteristics combine with sustainability, sensory stimuli and style to make Vector a unique package and proposition for riders who dare to be different. Arc Vehicle Ltd will be situated in Hall 15, Booth S27, at this year’s EICMA show in Milan. The display will feature a specially-designed, state-of-the-art stand with three open sides showcasing what the brand is all about, along with the bike itself. Vector promises to be the most exciting and innovative launch at this year’s EICMA show and a virtual reality experience will be available for attendees riding the Arc Vector. The company says more details will be announced in the run-up to EICMA on November 6.